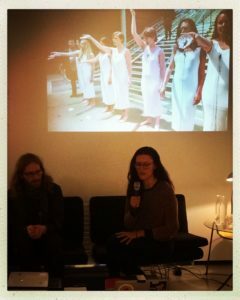 Framer Framed, Humanity in Action Nederland and Castrum Peregrini presented the symposium: ‘Art as Resistance: Taking the oil out of the arts’ on the ethics of cultural institutions taking on financial sponsorships by fossil fuel companies. How do corporate companies benefit from what can be considered ‘artwashing’? To what extent should their cultural beneficiaries be accountable? And what are the impacts of ‘artistic activism’ to address this issue? ‘Art as Resistance #2’ took place at Framer Framed and featured presentations and a workshop by BP or not BP? and Fossil Free Culture NL.